Absolutely FREE download of my book ‘Achieving Entertainment Success’! 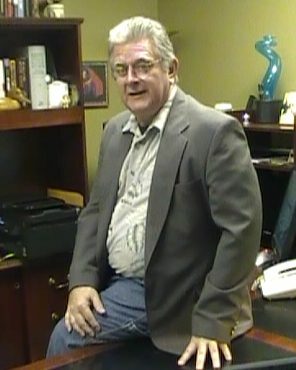 Ray Lawrence is an entertainment strategist who has been serving corporate America for over 18 years. His experience in placing entertainers and speakers into corporate events has provided him with a wealth of do’s and don’ts for event planners. Every event planner has to deal with budgets, time management and deadlines. These can become daunting, and many times the fun in the job is lost. Why am I giving this information away to you for free? Because I care about your peace of mind when you have to hire the entertainment. It can certainly be a daunting task, and bring about a lot of worry. I’ll help you get rid of those worries and sleepless nights. I’ve compiled, just for you, a few of my thoughts and lessons learned in how to achieve entertainment success for event planners. Can you do it for $100.00? 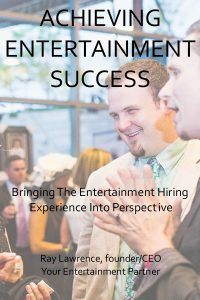 Download your FREE copy of "Achieving Entertainment Success"